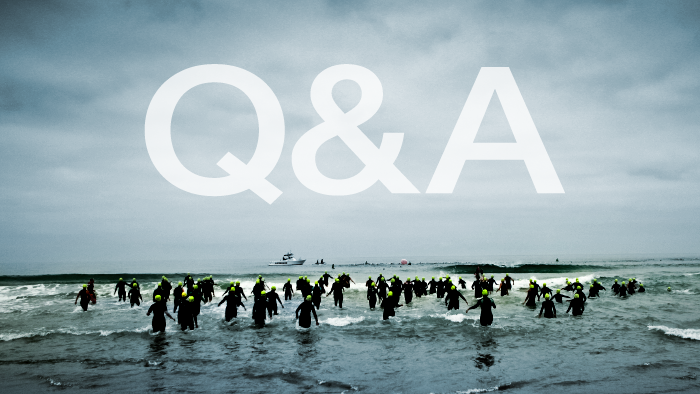 How you approach an IRONMAN transition will depend upon your personal goals for the race. The elites will skip through the transition area in the same way that others might skip through that of a sprint distance triathlon and if you are an experienced Iron-distance triathlete then you will already be aware of what works and may be looking simply to fine-tune your transition. However, if this is your first long course race then the three things to bear in mind are comfort, comfort and comfort. Do not race in clothing that you have not tried and tested during training. A blister, chafing or rubbing can be painful during a shorter race but in a race that will likely last over 10 hours such suffering could signal the end of your race. Change of racewear. If your goal is to cross the finish line, then by simply changing from swimwear to cycling kit and then into running kit, you will benefit from a mental boost, fresh kit and an opportunity to stretch and take a breath before starting the next discipline, and also from being able to race in sports-specific attire. Ensure you are using an appropriate level of clothing and protection. Racing in the UK may require a different style of clothing than racing in Australia, for example. Finally, remember an extra couple of minutes before the run may provide the chance to take a breath, take a drink and mentally prepare for the marathon. Good luck.